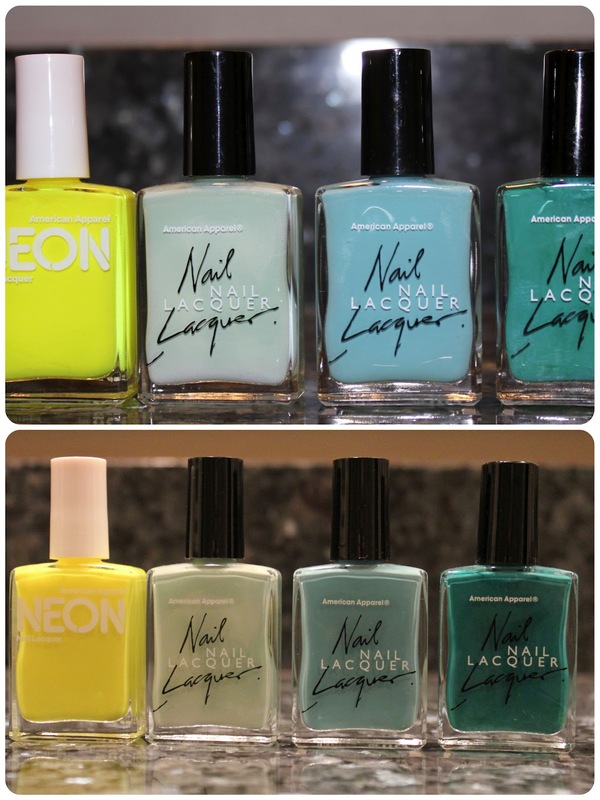 I was at my local American Apparel store and found these nail lacquers. I couldn't resist. I had to pick up these colors. The first photo is with a flash and the second is without. *View all of the Colors here.